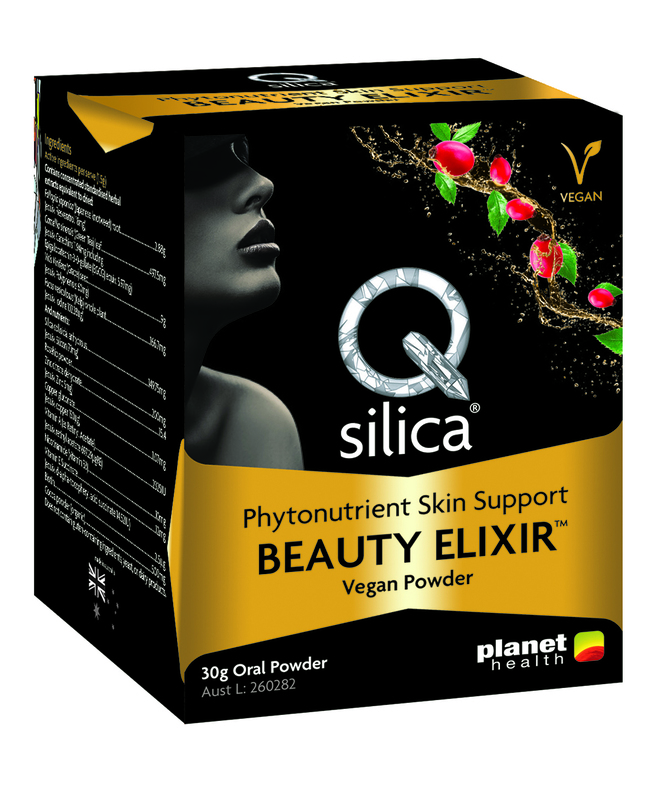 BEAUTY ELIXIR, a high-potency antioxidant-rich, therapeutic beauty supplement that encourages healthy, glowing skin from the inside, is the latest release from multiple award-winning Australian made supplement and skincare brand, Qsilica. Qsilica is known and trusted as the healthy skin, hair and nails expert thanks to formulated products that contain hero ingredient, colloidal silica. With the introduction of Qsilica BEAUTY ELIXIR™, fostering youthfulness now comes with a great taste. 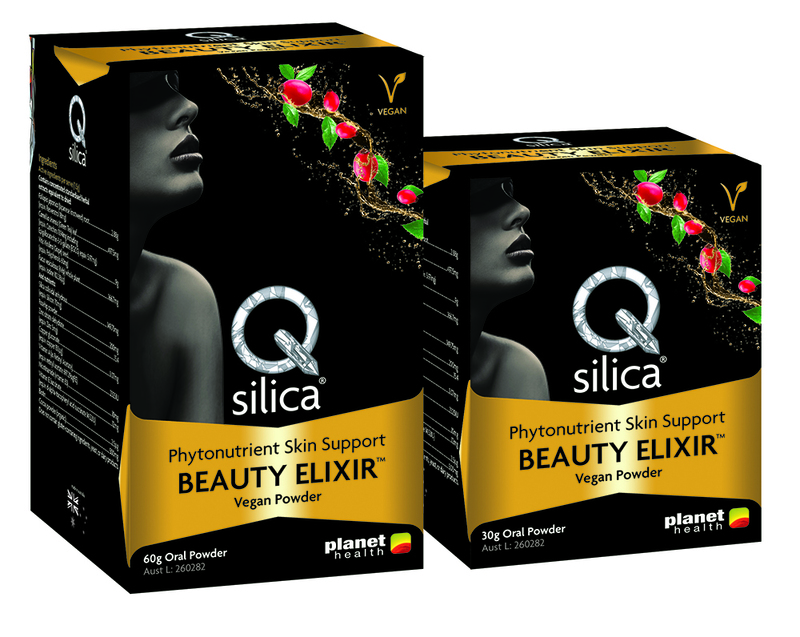 WHAT IS QSILICA BEAUTY ELIXIR™? 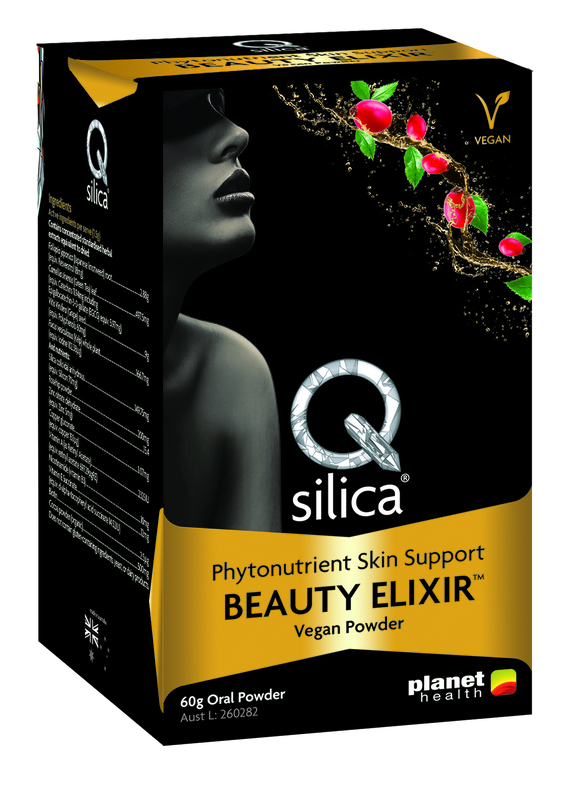 Qsilica BEAUTY ELIXIR™ is an antioxidant therapeutic beauty supplement that supports radiant skin and a youthful appearance, based on the knowledge that good nutrition is essential for a truly healthy glow. Its innovative formulation may preserve skin health and integrity, while preventing future damage. Although applying topical skincare creams can support a holistic beauty routine, it’s what you put into your body that ultimately shows on the outside. BEAUTY ELIXIR is much more than just a beauty superfood. It is a therapeutic product that truly targets beauty concerns, formulated to minimise cell destroying oxidative stress and to complement a daily beauty routine from within. WHO IS QSILICA BEAUTY ELIXIR™ FOR? Qsilica BEAUTY ELIXIR™ is for those concerned about ageing and wanting to support healthy skin, hair and nails and youthful appearance from within. It offers potent nutrition with on-the-go convenience for those who lead busy lifestyles, yet still want to actively take positive steps towards daily tackling the signs of ageing with some of the world’s best known skin nutrients that promote youthfulness. HOW TO TAKE QSILICA BEAUTY ELIXIR™? 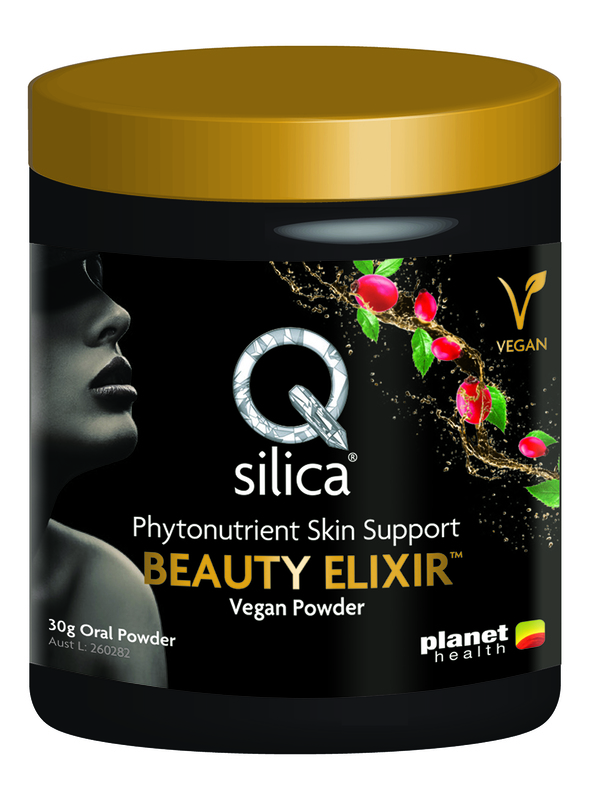 As a convenient, vegan-friendly powder, Qsilica BEAUTY ELIXIR™ can easily be added to smoothies, milk, stirred through yoghurt or sprinkled over cereal. It’s a great option for those who prefer not to take tablets or capsules, and can simply add it into their daily beauty routine. Recommended daily dose: 1.5g (one heaped metric teaspoon). 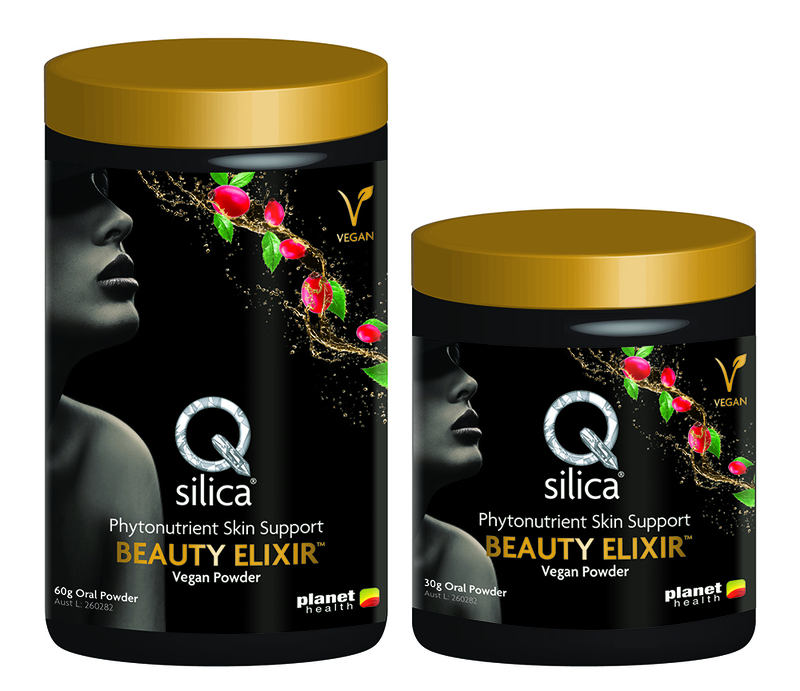 WHAT DOES QSILICA BEAUTY ELIXIR™ TASTE LIKE? Cinnamon and organic cacao blended with natural stevia and amino acid glycine give Qsilica BEAUTY ELIXIR™ a rich, exotic taste experience with a hint of sweetness. Did you know? 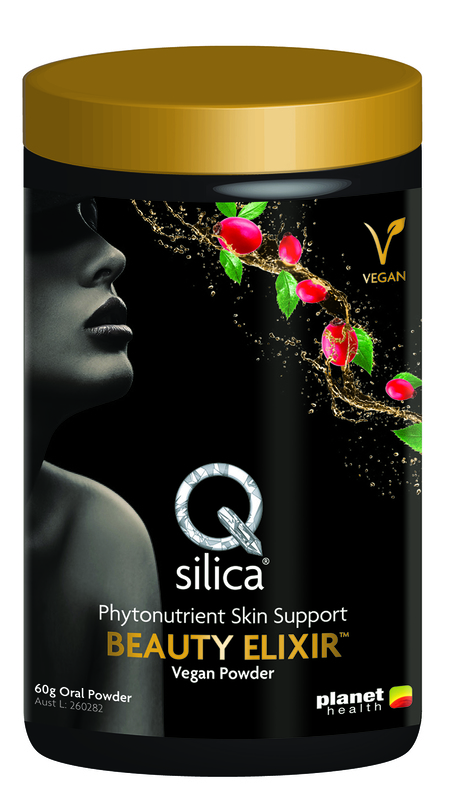 Multi award-winning Qsilica offer a range of supplements and naturally derived skincare which all contain colloidal mineral silica, with its strengthening, rejuvenating and health-giving properties—essential for beautiful skin, hair and nails. Qsilica is beauty from the inside and out. • If you would like to run a giveaway, please enquire. Conditions apply.